Review the chart below to see if you may be eligible and how much you may qualify have qualified for in 2017. Yes! 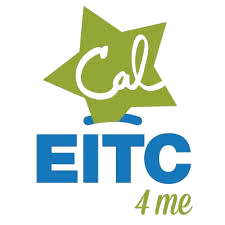 If you have no dependents and are between the ages of 18 and 65, you must make less than $15,010 a year to be eligible for the federal EITC. If you do have three or more dependents, you can make up to $53,930 and still qualify for the federal EITC. Schedule an appointment with an IRS-certified volunteer tax preparer at your local VITA site who can work directly with you to file your 2018 Federal and California state income tax returns. Services are available in multiple languages. To download and print the complete list of tax filing locations, information on how to schedule an appointment, and filing requirements click here. Can’t find a site in your area and earned $66,000 or less? File your taxes for free at www.myfreetaxes.org! Text MY MONEY VC to 898-211 for tax deadline reminders!